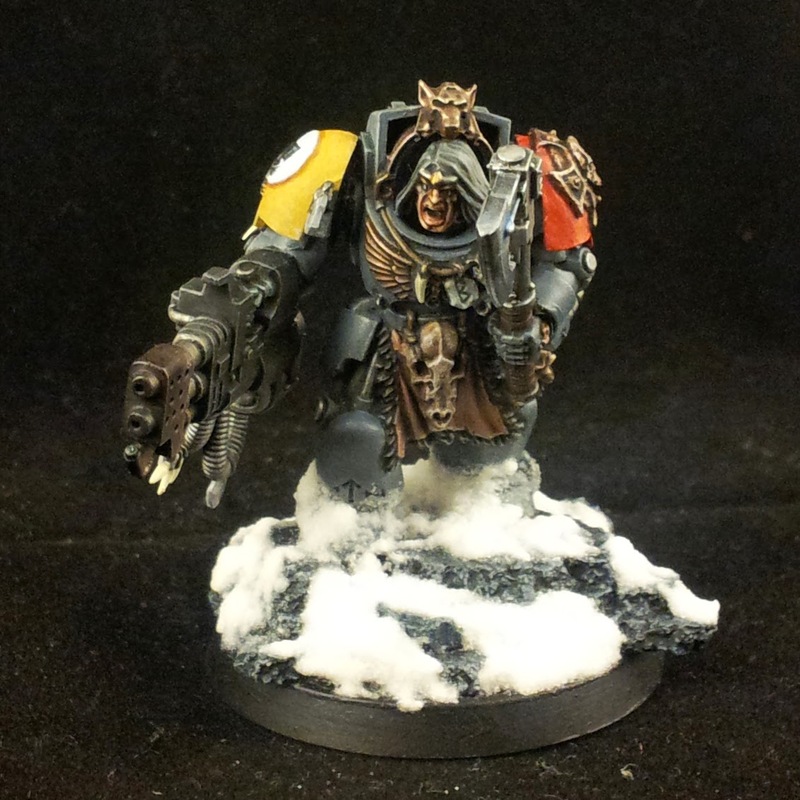 Here we have another Wolf Guard terminator, Aernid Death-Howl. Aernid is armed with a heavy flamer and power axe and although perhaps a bit of an odd set of wargear, I'm pleased with how this model turned out. A blood-curdling howl precedes Aernid's arrival on the field of battle. So terrible it is, it is said not just to herald death, but cause it in those who are weak of will and lacking in valour. Unusually for a Wolf Guard, Aernid didn't achieve his position though some battlefield feat, though his martial prowess is undoubted, and nor was it through some act of heroism, though his courage is unmatched. Rather, it was through an extraordinary feat of huntsmanship. The tale goes that a great beast of the night was taking the folk of Fenris from their beds. Men, women, children; none seemed to be safe. The Rout is ever aware of the goings on amongst the tribes of Fenris, for they are their roots and kinsmen. But nor can the Sky Warriors afford to ignore matters of the Allfather's realm and so could only spare one warrior to combat this dark creature. Lots were drawn amongst volunteers and wyrd selected Aernid. Aernid strode off into a blizzard was not seen again for seven years. He was feared lost until one day he was seen approaching the Aett dragging behind him the corpse of the great beast he set out to catch. Enraptured, all gathered in the great hall to hear his tale, and what a tale it was. Aernid bestrode the planet, always on the beast's tail but it was cunning and had was always one step ahead. The creature was, it was speculated, not quite of this world and thus catching it was like catching shadows. But catch it Aernid did, turning the tables on the creature, harrying it, luring it, and provoking it until it stopped hunting the human populace and began hunting him instead. But, as the corpse hanging in the Aett's great hall testifies to, Aernid was no easy prey. I hope you enjoyed this little story and the photos. Let me know what you think in the comments. The first thing we need to mention about this new update is that it’s available in the form of APK. 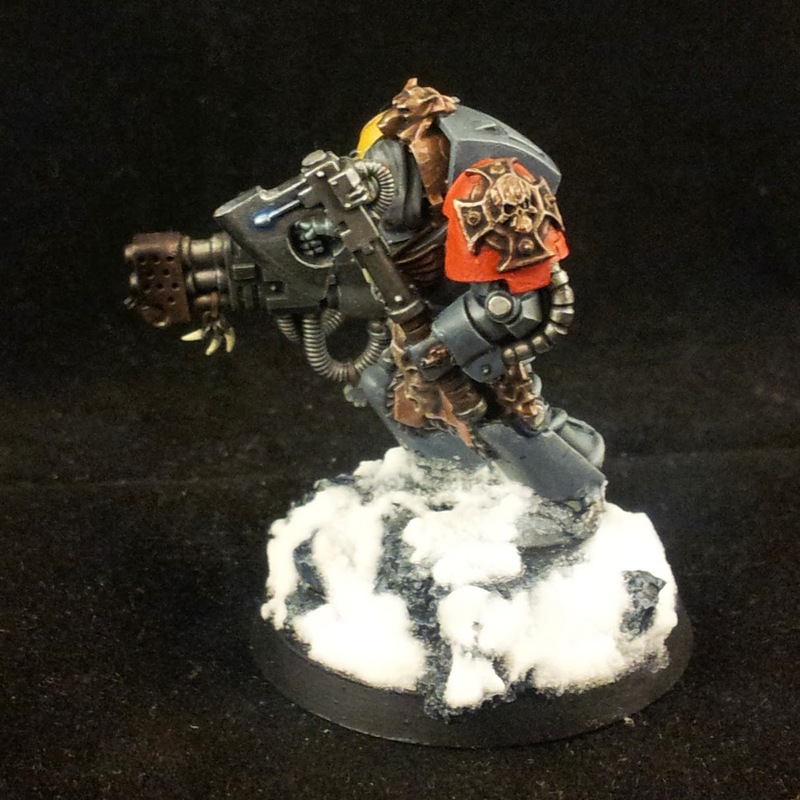 Pingo's Projects is a Warhammer 40k blog, focusing on modelling and painting. All feedback welcome. Any questions, drop me an email at pingos.projects[at]gmail.com. All miniatures shown © Games Workshop 2003. All rights reserved. Used without permission. All models painted by pingo. 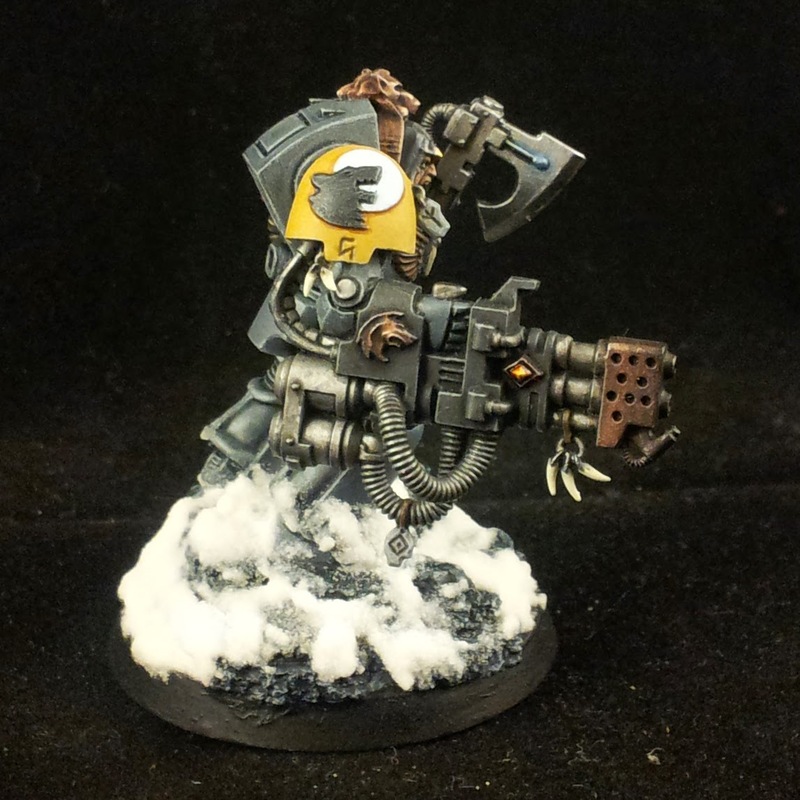 Pingo's Projects: a 40k hobby blog. Awesome Inc. theme. Powered by Blogger.